For over 83 years, three generations of the Pagani family have been providing high quality food to Manchester residents. And this year, Pagani’s Manchester Caterers will bring samples of that food to the Taste of Manchester 2014. Pagani's specializes in Italian cuisine; case in point, they make their own homemade meat sauce (and we hear it's to die for). Nonetheless, their culinary offerings spread beyond the peninsula with items such as Swedish meatballs and Polish kielbasa, to name a few. 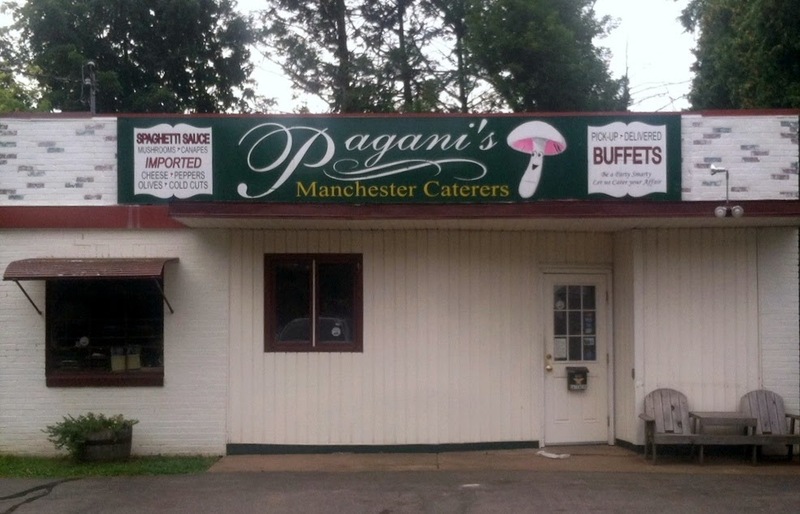 Their storefront is located at 78 Maple Street in Manchester, CT, and they serve all of Connecticut and Western Massachusetts with a wide range of catering options to suit every need and budget. They are most well-known amongst local businesses for their "hot and cold 'pick-up' buffet." Yes, from buffet spreads to party platters to clambakes, not to mention full service dinners to order, Pagani’s aims to please. Wait-staff, serving utensils, and delivery are all available at additional costs. We had the chance to speak to Mr. Pagani during one of the brief moments he was not in the kitchen. He spoke about what they might serve at this year's Taste of Manchester: a nice Italian-style meatball with a side of pasta topped with their famous meat sauce. And we Manchesterians do love our Italian food. Pagani's easy-to-navigate website has all the information you need to plan your next catered event, including menus, photographs, and testimonials from customers. They can be reached by phone at 860.646.0037 or by emailing paganicaterers@yahoo.com. And to try before you buy? Well, come to the Taste of Manchester, of course! Thanks anonymous! We look forward to hearing more from you and your friends.